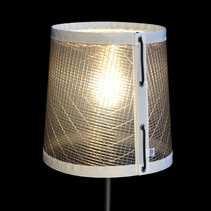 Our lamps are carefully sewn with both craftsmanship and materials borrowed from sailmakers. 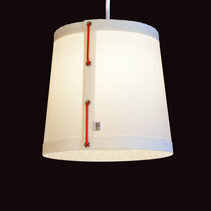 Thin lines, eyelets and sail seams become fine details. 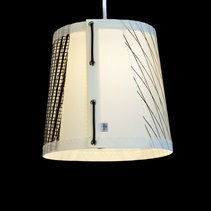 Salicloth in layers results in playful and stylish patterns where light is refracted beautifully to give a pleasant and warm glow. 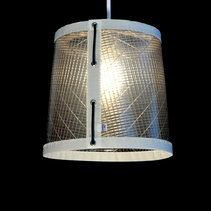 The ceiling light Skagerrak is available in two sizes. 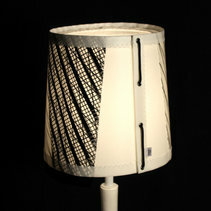 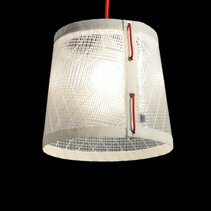 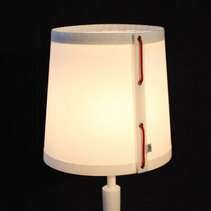 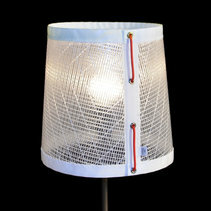 The small lampshade also is available as a table lamp for which you select your own lamp foot. 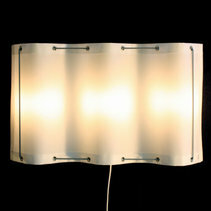 Our wall lamp Kattegat billow in three waves along the wall. 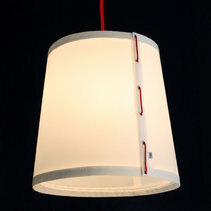 Skagerrak small thunder is a pendant lamp in the same size as the Skagerrak thunder table lamp.